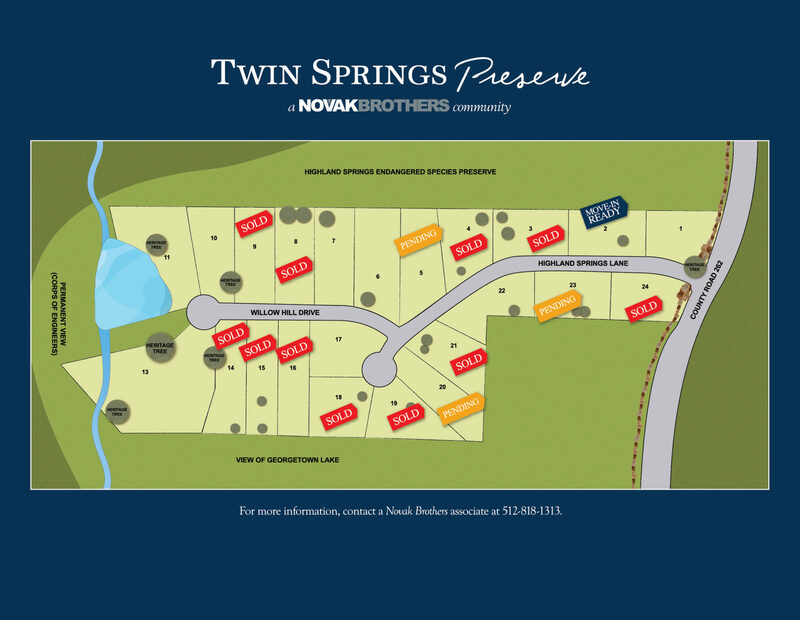 Twin Springs Preserve is an exclusive estate community located in the prized Georgetown School District. One-acre to three-acre home sites boast panoramic views of the Texas Hill Country and Lake Georgetown, with 2,800 to 5,200 square foot homes designed to maximize privacy, views, and curb appeal. Our first six custom homes feature modern Texas farmhouse style, with 23 total custom homes planned, and one designed by Elliot Johnson. Situated on the outer edge of Georgetown, Twin Springs Preserve is peaceful, yet conveniently accessible to all the city offers. Home owners enjoy quiet country living, beautiful sunsets, views of and access to Russell Nature Preserve, and a stocked community fishing pond. Building your own home is the most exciting and rewarding endeavor for anyone to undertake and it all starts with the perfect design. We can build your dream home using your own floorplan or choose from one of our custom floorplans below. Board and batten siding and stone, combined with metal roofing, provide the most sought-after facades. Stocked community fishing pond and access to Russel Nature Preserve make this a nature lover's community.